No one is perfect and no one has the perfect relationship. We all have things that we need to work on and things we can do better in our personal lives and relationships. Men are far from perfect and have things they could work on improving, but the same goes for women. In order to have a happier, more fulfilling relationship, read on to find out what things women should refrain from doing. Men can get just as self-conscious as women if they think their woman has eyes for someone else. Think about how you would react if you caught your man staring at or flirting with another woman. So, with that in mind, would you really blame your man for getting angry when you do the same thing? Most men won’t really care if you think another man is attractive, but talking about it with your significant other is probably not a good idea. Some things are better left unspoken in this case. Strong women stand up for other women, not try to bring them down. Talking badly about others shows signs of insecurity and low self-esteem, so even if you feel inadequate in some way compared with another woman, try to remember your good qualities. It’s okay to sometimes admit to your significant other that you feel insecure, but talking badly about other women will not help the situation or increase your self-esteem. If you did something wrong, of course you should apologize, but don’t say sorry unless you really need to. For example, you don’t need to apologize for wearing your PJ’s all day, not putting on makeup, or not cleaning the dishes one night. Learn to go easier on yourself, because lowering your stress will also benefit your relationship. Every person on this planet needs a little time alone to rejuvenate and keep up other relationships as well. It’s not normal or healthy to only spend time with your significant other, so make sure you allow your partner the space he or she needs. Don’t neglect your own friendships either. You need friendships just as much as your partner does, so make sure to nurture your other relationships, too. 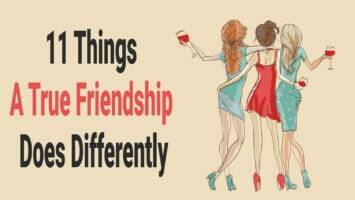 Strong friendships help rather than harm good long-term relationships, so try to strike a balance between the two. Men get jealous just like women do and want to feel like they’re the only person you’ve ever loved. Of course you can mention people you dated in the past, but talking about them all the time or comparing them to your current lover will only cause arguments and confusion in a relationship. Everyone wants attention and for people to hear what they are saying. 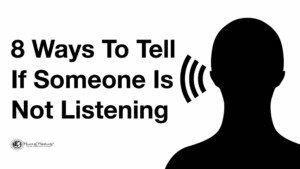 So, when your partner talks to you, put down the phone and really listen to what they have to say. You wouldn’t want your partner to ignore you or half-listen to you, so give them the same respect you would want. This one should go without saying, but if you’re in a serious relationship, flirting with others should be off-limits. A relationship requires commitment, and flirting with others damages that trust and love you’ve built with your partner. If you partner takes you out to dinner or drives you places, let them know that you appreciate all the kindness and generosity they show you. Remember – they don’t have to do these things for you – they want to, so make sure to tell them how grateful you are to have them in your life. As time goes on in a relationship, we can start to take our partner for granted, and that’s normal. Just remember to show your appreciation from time to time for how amazing they are.